Ceramics is a challenging discipline for me. There are so many processes where things can go wrong. The finished product is always a surprise. 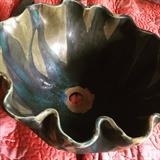 I have recently been successful with making wash basins to go in our house in France and also wall tiles inspired by the sea. 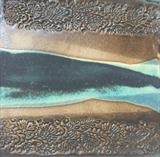 I have attended some Raku firing courses and love the finishes achieved by rapid firing. Figurative work is a pleasure and I love the female form.